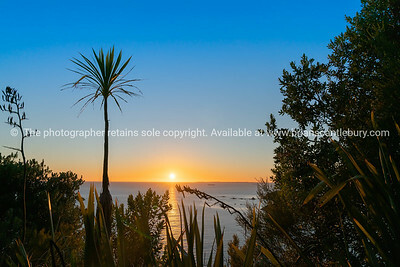 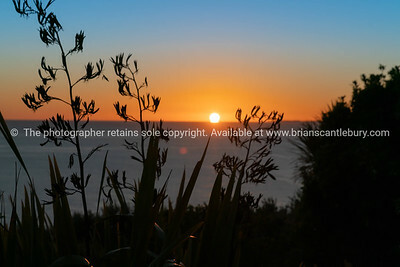 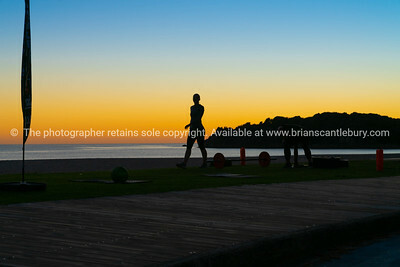 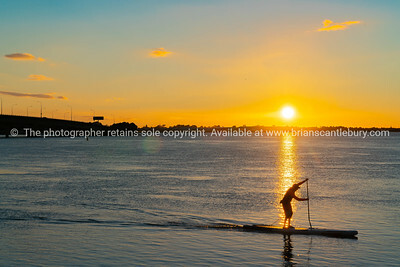 People on beach at Mount Maunganui at sunrise in silhouette doing morning fitnes exercise and walking by. 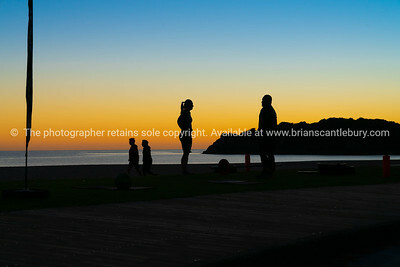 TAURANGA NEW ZEALAND - APRIL 15 2012; Unrecognizable People on beach at Mount Maunganui at surise in silhouette doing morning fitnes exercise and walking by. 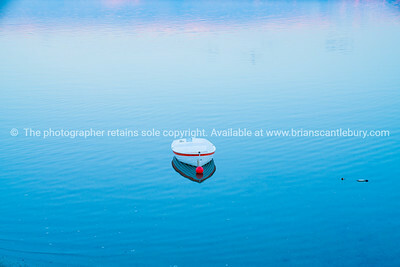 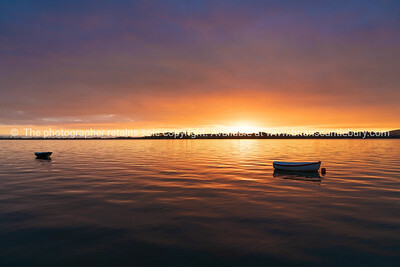 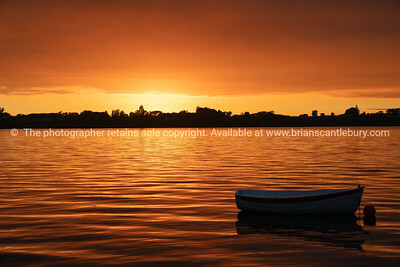 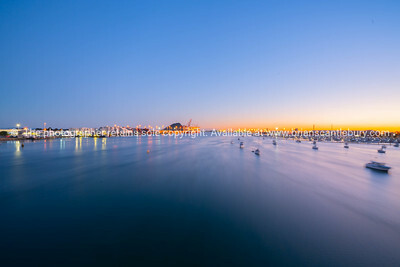 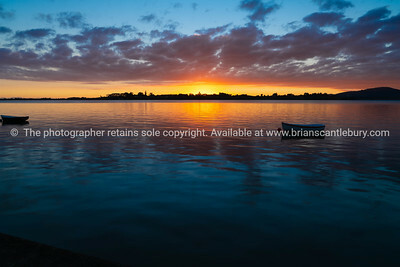 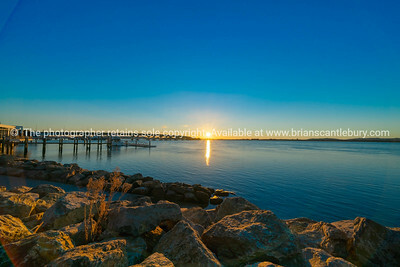 White dinghy afloat on calm blue water with reflection of sunset colors in tranquil scene. 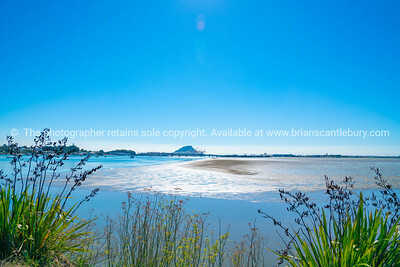 Entrance to Waikareao Estuary Tauranga Harbor, New Zealand. 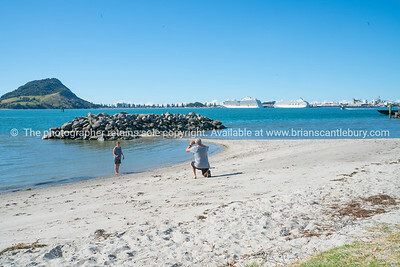 Couple enjoying beach taking photograph with view across Tauranga harbor from Sulphur Point to landmark Mount Maunganui and berthed cruise ships. 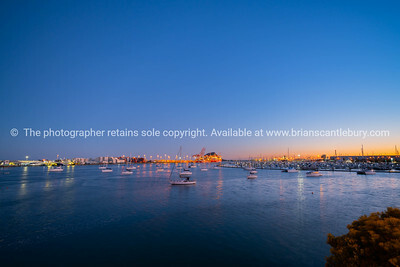 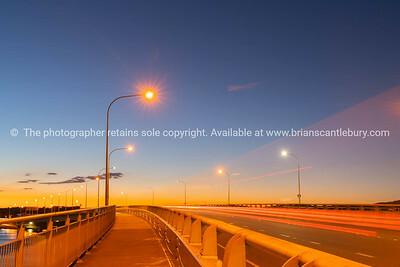 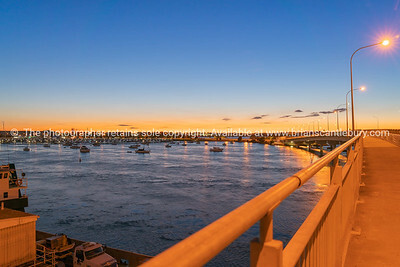 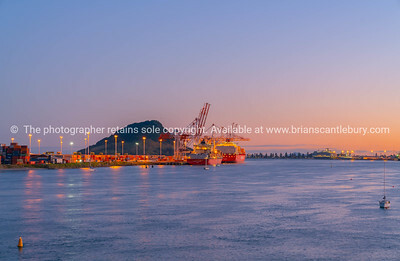 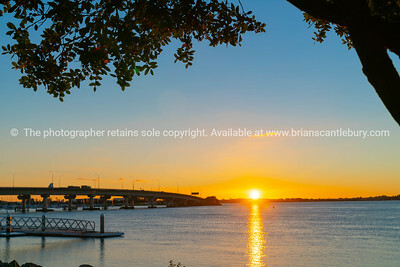 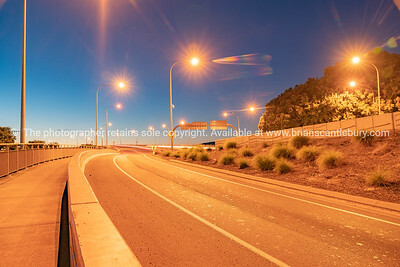 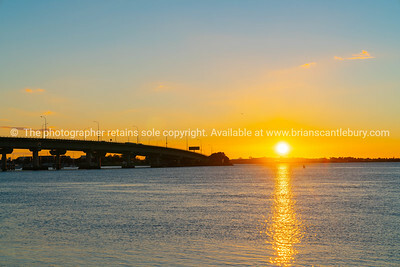 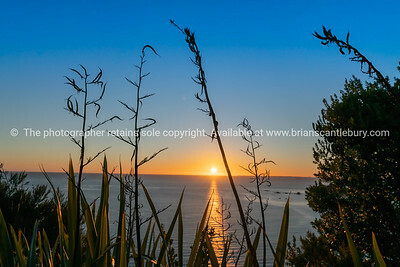 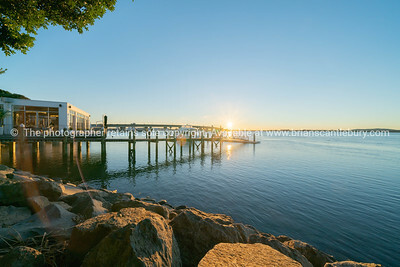 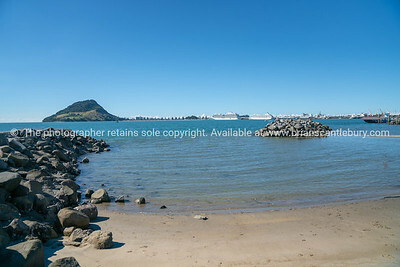 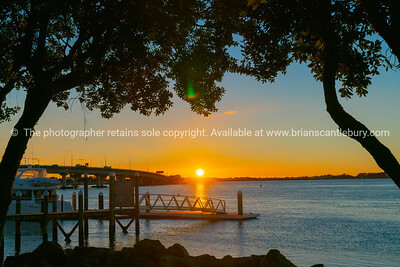 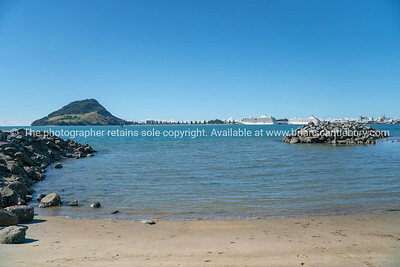 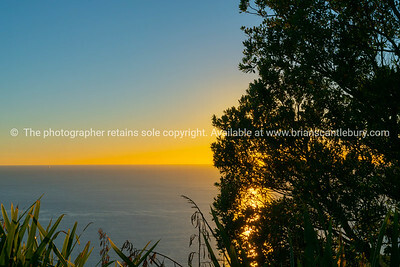 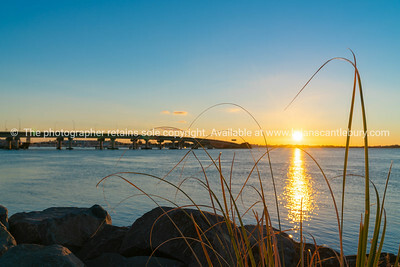 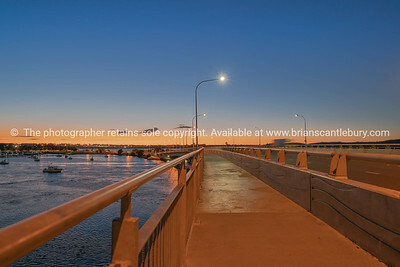 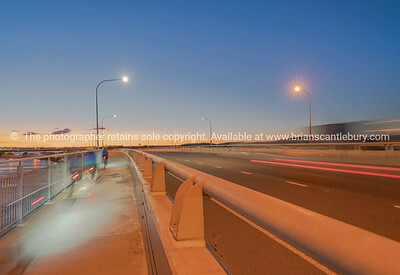 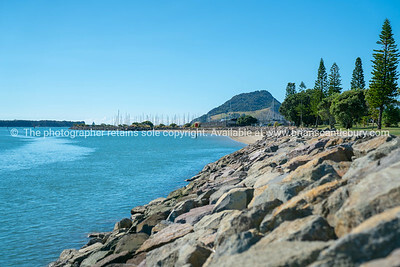 TAURANGA NEW ZEALAND - MARCH 21 2019; Couple enjoying beach taking photograph with view across Tauranga harbor from Sulphur Point to landmark Mount Maunganui and berthed cruise ships. 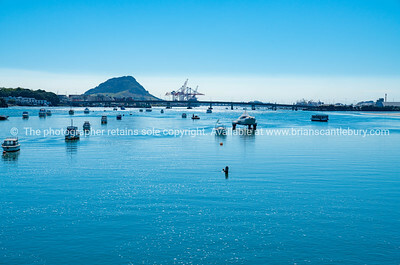 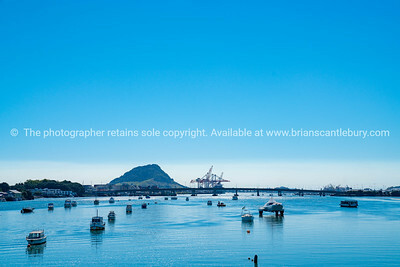 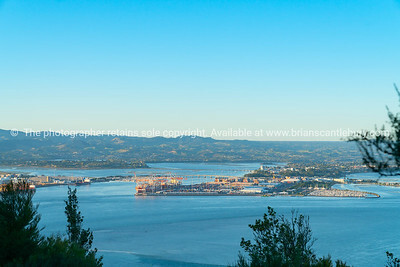 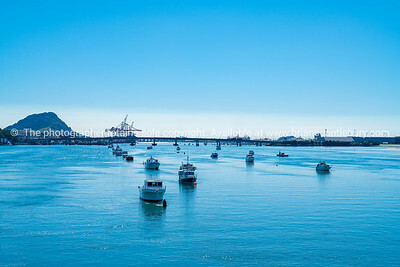 Tauranga Harbour long view from city with landmark Mount Maunganui on horizon and port container cranes against blue sky.